Practice makes perfect and this should be set in stone when it comes to Thanksgiving dinner. No matter how great your cooking skills may be, chances are you’re still going to mess it up on something, especially in the beginning or when you’re overwhelmed with everything that you have to do for this special occasion. Without any further ado, let’s go over the most common mistakes that happen when cooking the Thanksgiving and, obviously enough, the tips you can try for make it all better. What are the common turkey problems? What are the gravy mistakes? Is tater a sure thing every single time? What about the dessert tragedies? Even if we love turkey, cooking it isn’t that easy, especially if you forget to take it out of the freezer or you’re messing up the cooking. This is one common mistake as you simply underestimate how much time the turkey would need to be ready for cooking. The rule of thumb is that it takes 24 hours for every 5 pounds. The fix: you can place the frozen turkey (all wrapped) in the sink and cover it with some cold running water. Make sure you drain and refill the water every half an hour. 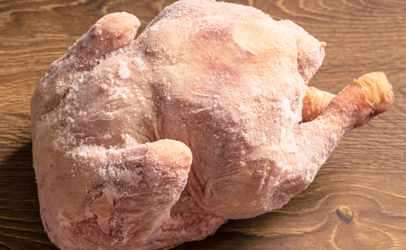 Don’t just leave your turkey at room temperature as it’s going to be ready for cooking…on Christmas. It’s quite possible that the turkey breast meat gets dry before the drumsticks are ready. The fix: you should carve some turkey slices, using some chicken/turkey stock to moisten them. You may use the turkey slices to cover the turkey. 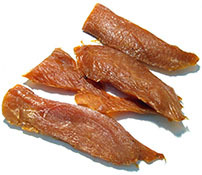 Use the dry meat for some turkey salad/turkey soup instead of throwing it away. Maybe the oven isn’t calibrated well or you’ve just used too much high temperature. The best solution is to use an oven thermometer. 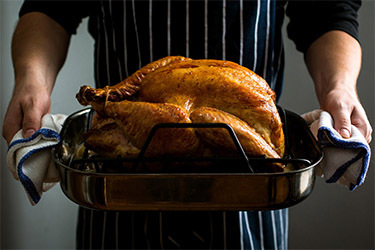 The fix: flip the turkey over right away, continuing to cook it breast-side down. Remove the blackened skin when carving the turkey and place the slices on dinner plates, covering them with plenty of gravy. The stuffing is another concern when cooking your turkey. This happens because you didn’t use enough liquid in the mix. 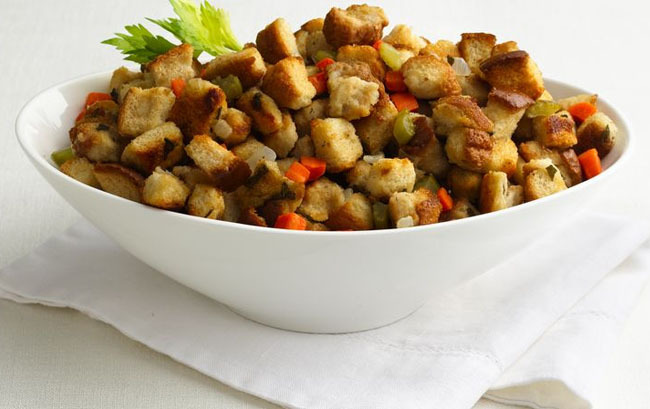 The fix: You should put the dressing/stuffing in an oven-safe bowl, adding some warm broth/melted butter. Only add a bit of liquid and wait until the ingredients are moistened. You don’t want to add too much liquid either. If you do, cover the bowl with a foil and let it heat in the oven until it starts to steam. This time, you put too much liquid in the stuffing. The fix: add more bread crumbs/toasted bread for thickening it. You can also put the stuffing on a baking sheet, heating it in the oven until it dries out. 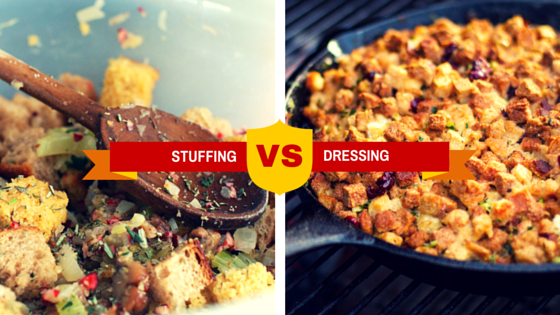 Side note: Stuffing or dressing? With no stuffing, your Thanksgiving is just another turkey dinner. Here are some hints if you don’t know which way to go with your turkey. Some like to stuff, some fancy the tradition of baking dressing outside the turkey. It’s quite common for the Southerners to stuff dressing inside the turkey and still calling it a dressing. At the end of the day, it’s all about the traditions and the recipes. 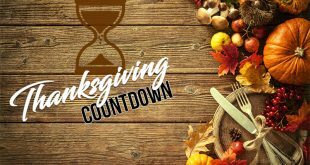 When you’re stuffing the turkey, the most important rule is to follow the cooking times and even use a kitchen thermometer to temp your stuffing. 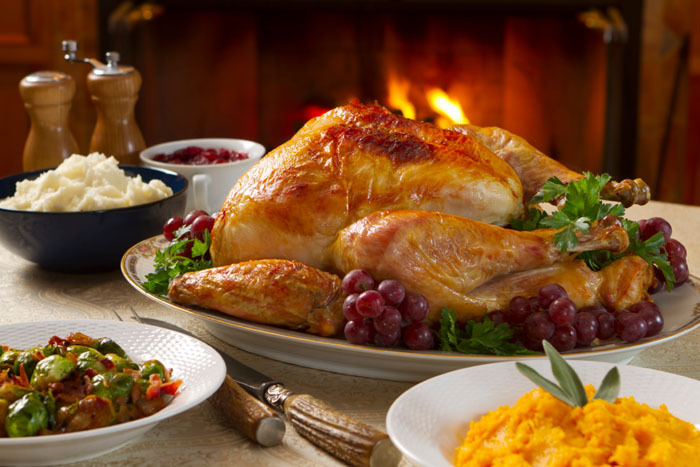 Your bird is going to be ready when the temperature of the stuffing gets to 165 degrees. 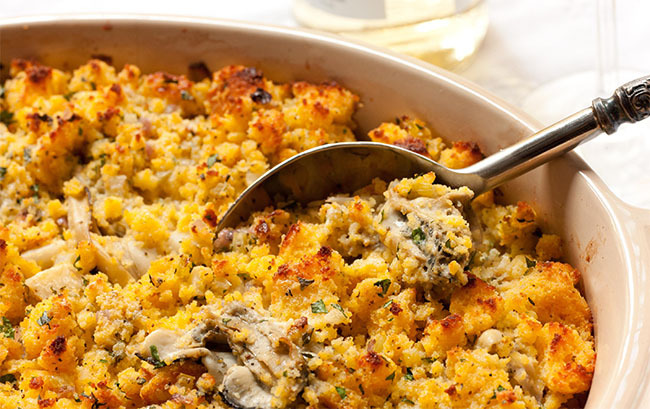 Potato filling is another unusual combination of mashed potatoes and stuffing. Even if we all know it as a filling, it’s in fact a mashup of celery, potatoes, onions, bread cubes and various seasonings that you’re going to bake in a casserole dish. Gravy is another challenge for the Thanksgiving dinner so let’s take a look at the most “popular” accidents. This happened probably because you didn’t add enough flour or some other thickening ingredient in your gravy. The fix: you may put ½ teaspoons of cornstarch in a small bowl with some cold water. You need to obtain a thin slurry that you may whisk into your thin gravy afterwards. You can also mix some flour and water until you get a smooth paste that you’re going to whisk into the gravy and until it thickens. This happens because the flour didn’t dissolve entirely in liquid before you put it in the pan. You may have used a too high temperature for cooking as well. The fix: you can pour the gravy through a really fine mesh strainer and reheat the lump-free gravy in the new pan. You are completely overwhelmed in the kitchen. It’s ok, as we all know how challenging the cooking for Thanksgiving can get. One may think that tater is never going to give you a headache in the kitchen, but you may want to think twice. The main reason for this kind of problem is the overcooking or the overworking of the potatoes. The fix: you may place the potatoes into a casserole dish, topping them with some cheddar cheese and butter. You’re going to bake and serve them as a mashed potato casserole later on. You can also try turn the potatoes into patties, letting them chill for an hour and fry them until they get a beautiful golden brown color. Whether you added too much milk or you didn’t drain enough the cooking water, you may end up in an unpleasant situation of this type. The fix: you’re not going to use cheese this time. You need to use rawer potatoes for getting the right consistency. You need to place 1 or 2 raw potatoes in a skillet, bringing them to a boil. They’re going to be really soft in no time. Don’t forget to drain the water, nor to add salt and pepper. Don’t add any milk and simply mix them with the watery mashed potatoes. The most important thing to remember about this one is that they’re going to cook really fast so make sure you don’t leave the kitchen. It’s probably that you didn’t mash the potatoes well enough for breaking all the lumps. The fix: you can put your potatoes once again in the saucepan, adding some hot milk and butter. Keep mashing them nice and easy until they get nice and smooth. But in fact they can also become another thing to worry about while cooking. marshmallows are prone to burning, even if they don’t get in direct contact with fire. Maybe it was too close to the broiler element or you simply forgot it in the oven. No matter the cause, there’s still a way out! The fix: first thing first, get some fresh air into your kitchen. Open up the windows big, blow out the fire and don’t forget to turn off the oven. Once the marshmallows are cool, remove them with a spatula, replacing them with new marshmallows/brown sugar topping. Try it once again and pay attention (for real) so that they don’t end up in flames (all over again). Lower the oven rack, open a bit the oven door and never leave them outside your sight. You don’t want to burn them once again! From whatever the reasons, the dinner rolls may burn too. Maybe the temperature was higher than you thought or you just forgot that they were in the oven. The fix: You can simply get rid of the burned tops and put some butter on each roll. Remove the burnt bottom and flip the roll over, topping it with some butter when serving. If your rolls are only slightly burnt, scrape off the worst parts with a serrated steak knife. A microplane grater may come in handy as well. All that stress in the kitchen may cause some problems when baking the dessert as well. Most of the time, this happens because you didn’t use enough water for the dough. The fix: you should add more water in the wet dough. Use some flour for sprinkling, letting it sit for 15 minutes or so. Chances are, the dough is going to roll really well afterwards. Maybe you didn’t pre-bake the crust, which caused the filling to become all mushy. If you’re baking a fruit pie, it’s better that you pre-cook half of the filling so that you may obtain that nice thickness, cooking off some of the liquid. Put it aside from heat, stirring the left fruit for a chunkier consistency. 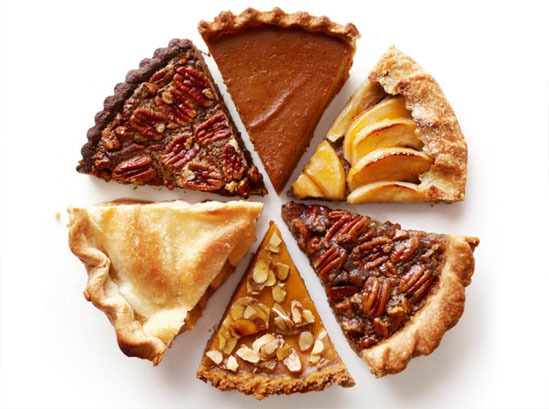 The fix: prepare the pie and scoop it into individual dessert bowls. Use some whipped cream on top when serving. Your batter may have too much air in it or you used a too high temperature when baking your cheesecake. The top simply set before all of the steam had time to escape from the filling. The fix: If the crack isn’t too bad, you can press the cracked area down nice and smooth with a warm metal spatula. You may also cover the whole surface with some cranberry sauce, whipped cream or any other sauce you like. From no matter the reasons, you ended up with a burnt pie crust. The fix: you should simply get rid of the burnt pie crust, covering the surface with some whipped cream. You can step up your game and even make a great impression with some chocolate shavings over the top. One last tip before you go! Knowing your skills in the kitchen is one thing to take under consideration when preparing the Thanksgiving dinner. Make sure that your plan ahead everything so that you have all the ingredients within reach. Take your time and don’t skip any important steps while cooking and baking. Play it extra safe and prepare the plan B, just in case. Even if you may not use it, why ruin the holidays over some burnt pies?